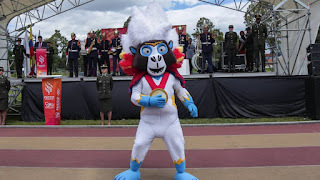 A mascot is any person, animal, or an object deemed to bring luck, or something which is used to depict a group with a familiar public character, such as a school, professional sports team, society, military unit, or a brand name. 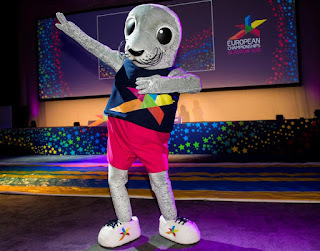 Mascots are personalities usually designed based on an animal which is different from all. A Mascot has always a story with the moral to say. Mascots are used to portray fictional, symbolic spokespeople for consumer products like a dog is used in advertising, marketing and as a logo of the syndicate bank to indicate faithfulness. 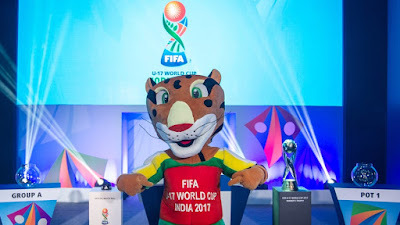 Mascots are used to promote in banners, advertisement, events and portals in any character like in traditional form and in modern forms like sketch, picture and animation. 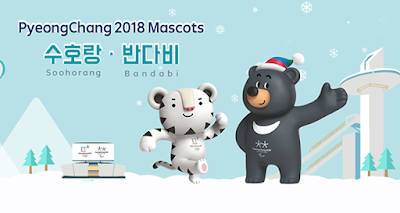 Mascots can be used to show a coveted quality like a dog as a faithful animal, to express a custom of regional, national or cultural resources, product and industry. 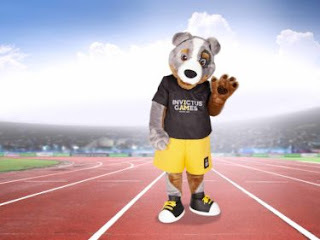 The trend of mascots in sports are for a long time but it is recently get noticed in sports competitions like Olympic Games, FIFA world cup, commonwealth games and many more. 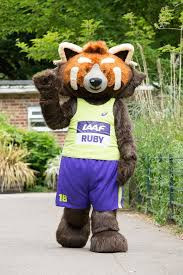 Mascots can be described in any character, creature or a thing believed to bring a good fortune. 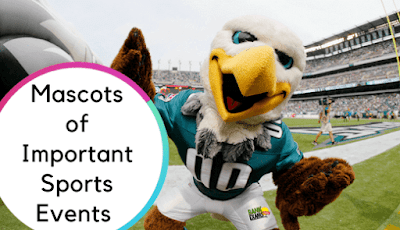 In sports, mascots have been used for a long time to encourage the sports and spread awareness in a simple way with a specific goal. Bhin Bhin is a bird of paradise that represents strategy and the east of Indonesia. Bhin Bhin's clothing of choice is a vest with Asmat pattern details from Papua, a province of Indonesia. 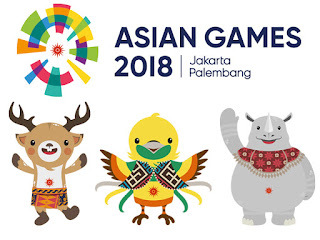 Atung is a Bawean deer that represents speed and the central area of Indonesia. Atung's clothing of choice is a saroong with Jakarta's batik's tumpal pattern. Kaka is a single-horned rhinoceros that represents strength and the west of Indonesia. Kaka's clothing of choice is Palembang's traditional attire with a flower pattern. 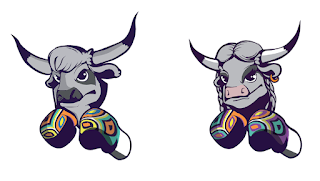 The Hungarian Grey bull and cow are a symbol of Hungary since the 9th century and just like our boxers, they symbolize fighting ability and endurance. They will keep an eye on all bouts of the new generation and entertain the home crowd in Budapest. Take jellyfish as a creative element, it represents vitality, balance, low profile, seriousness. 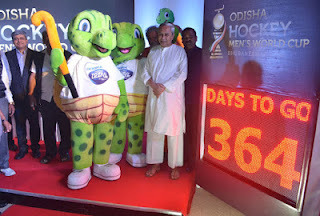 ‘Olly’ represents the endangered Olive Ridley sea turtles that travel thousands of miles in the ocean and arrive in millions every year on Odisha’s Rushikulya and Gahirmatha beaches for their annual nesting. 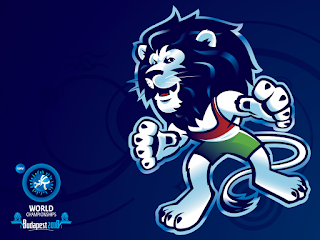 “Champlion”, the wrestling lion. Champlion – a wordplay compiled from the words “champion” and “lion”. 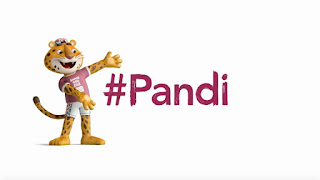 #Pandi aims to inspire young people and raise awareness of endangered species. Its hashtag is a sign that it will be very visible online. 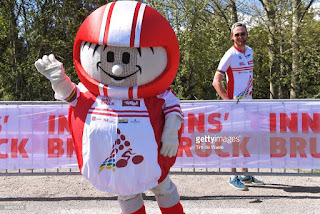 HELMI has been a cult TV ﬁgure in Austria for more than 35 years and has taught generations of children how to have fun and stay safe out on the road. She takes her name from the gemstone, to reflect her sparkling personality and as a nod to the city’s world-famous jewellery quarter. Name of the Mascot: Horses named Star and Huck. 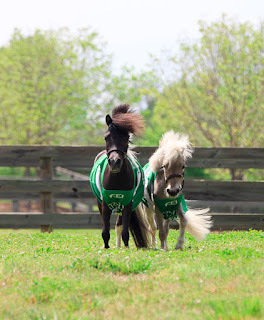 Star and Huck were adopted in 2016 by Mark and Katherine Bellissimo, managing partners of Tryon Equestrian Partners, after being rescued by the Peeps Foundation, an organization dedicated to rescuing miniature horses and giving them a forever home. The duo has been inseparable ever since adoption, and have been regular fan favourites at the Tryon International Equestrian Center (TIEC), where the WEG is being held this September since they began attending events there in 2017. A monkey species from South America that is in danger of extinction. The decision to name a Cotton-Top Tamarin as the main character of the games is an invitation to show and promote the battle for the protection and preservation of the species. Name of the mascot: Vinicius for the Olympics games and Tom for the Paralympics games. 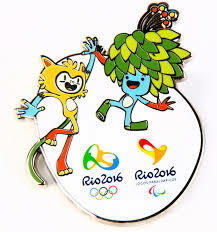 Rio Olympic mascots are of bright yellow colour and in form of cartoon creature such as a cat that portrays a combination of all animals of Brazil. Vinicius is named after the poet and composer Vinicius de Moraes and Tom is named after Tom Jobim who is a musician. 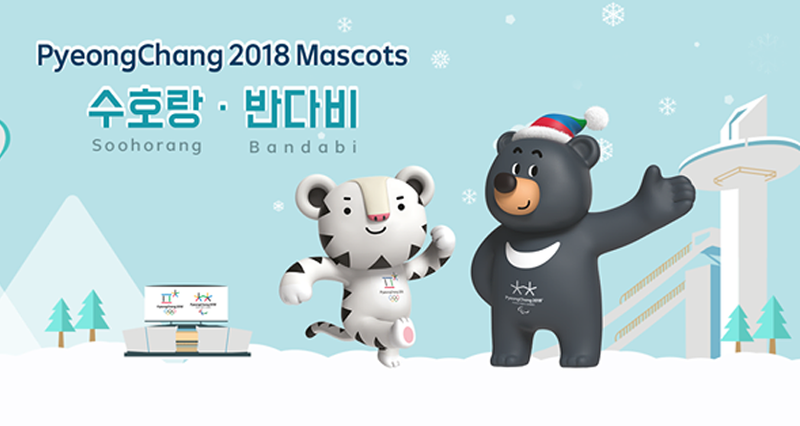 Soohorang is a white tiger which is intimately related to the religion and expresses faith, confidence, energy and security. Bandabi is an Asiatic black bear from the Korean peninsula and expresses strong intention and spirit. 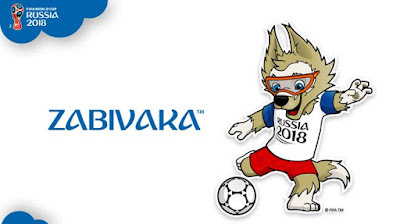 Zabivaka is named after the wolf and it is one who counts or scores in the Russian language. The wolf is made of Russian national colour that is red, blue and white with orange sports glasses. 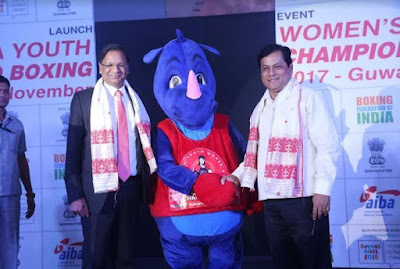 Launched by: Chief Minister of Assam Shri Sarbananda Sonowal and President of Boxing Federation of India Shri Ajay Singh. It shows the toughness, courage, energy and will and confidence which show the qualities of the Indian women. It also shows the traits of Indian women, who are powerful, self-sufficient, Aim driven and flexible. Anthem: The anthem is composed by two personalities that are the Composer Shaan and famous singer Sunidhi Chauhan. 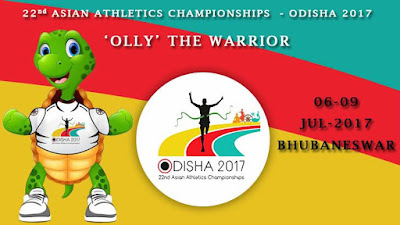 Launched by: The Minister of youth affairs and sports Shri Vijay Goel and chairman of the local organising committee. This clouded leopard is a wild cat from the Himalayan. 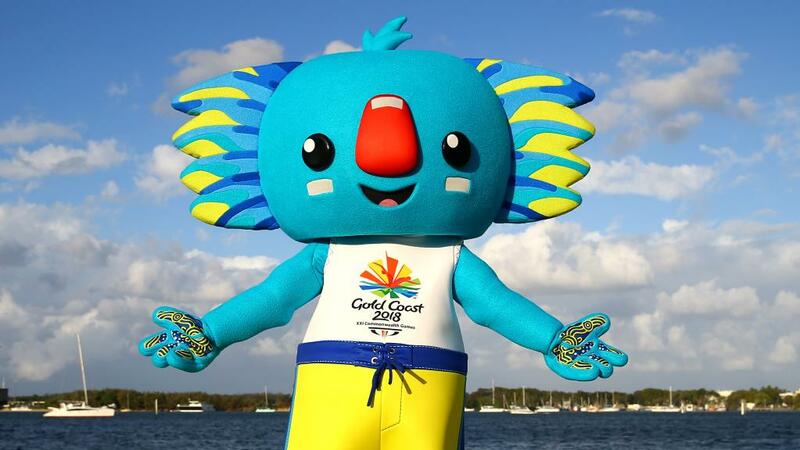 A mascot represents the blooming, lively, energetic, spirited and passionate image of the whole country. The olive ridley sea turtle moves thousands of miles in the ocean. 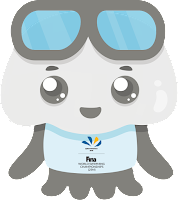 It means a mascot shows slow but steady progress to make and achieve the goal.